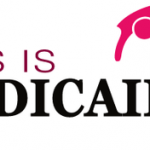 Welcome to AAHD’s Social Media Toolkit for Medicaid. 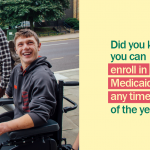 * This toolkit provides sample social media posts as well as graphics and relevant hashtags which can be combined to promote the importance of the Medicaid program and how important it is for people with disabilities. 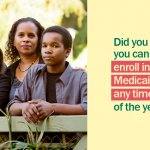 Did you know that 1 out of 3 children receive coverage through Medicaid or CHIP? 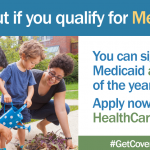 According to @macpacgov, Medicaid and CHIP are important sources of coverage for pregnant women, paying for half of the four million annual births in the U.S.
Medicaid managed care organizations treat three times more neonatal intensive care unit admissions than commercial plans and save thousands of babies per year. 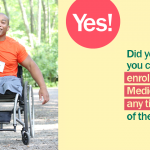 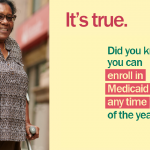 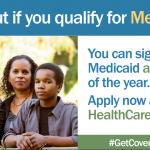 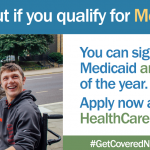 Did you know over 10 million qualify for #Medicaid based on a disability? 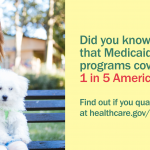 Did you know that 1 out of 3 children receive coverage through #Medicaid or CHIP? 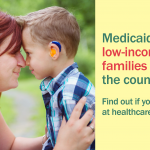 Did you know that 38% of children get coverage through #Medicaid programs? 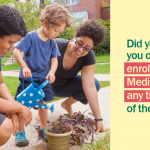 17% of parents receive #Medicaid coverage. 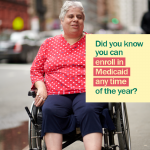 Did you know that #Medicaid covers many benefits like ______? 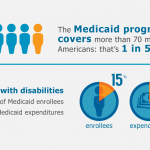 Kaiser Family Foundation – How Might Medicaid Adults with Disabilities Be Affected By Work Requirements in Section 1115 Waiver Programs? 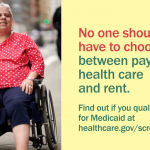 Please consider using the graphics and images below for social media posts and content.